Andy Carroll could be set for a stunning return to Newcastle this month, according to reports. It is understood West Ham are in talks with the northeast club over a swap deal that would see Jonjo Shelvey go the other way. According to West Ham insider @ExWHUEmployee – who often tweets out the starting line-up before it is public knowledge – the clubs are in the early stages of negotiations. The source tweeted: “I heard yesterday we were trying to do a swap deal with Jonjo Shelvey from someone at the ground. It is a move that would surely make sense for the former Newcastle striker. Carroll, 29, is out of contract at the London Stadium this summer and West Ham will not be keen to let him leave for nothing. So an offer which includes Carroll and some cash in exchange for Shelvey would be the most realistic option. His career has been plagued by injuries and this season is no different. He did not feature until November as he recovered from ankle surgery. 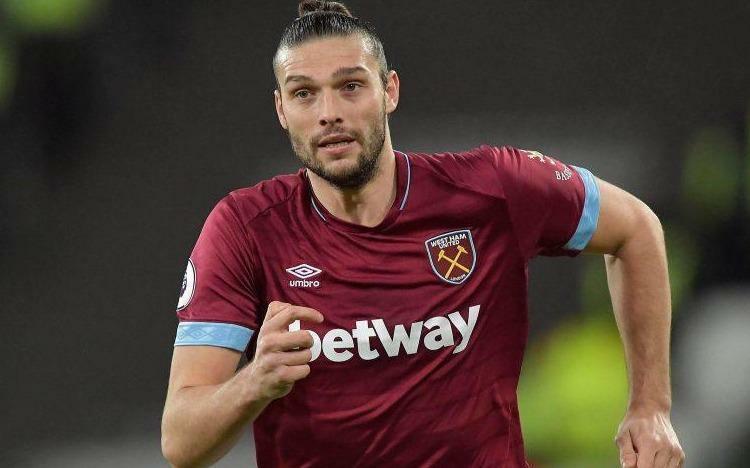 Carroll made his first start of the season on Wednesday night against Brighton but was poor and Manuel Pellegrini dragged him off at half-time. He has scored just three goals since April 2017 and a return to St James’ Park could be the best way for him to resurrect his career. Meanwhile, Pellegrini is keen to bolster his midfield options so a move for Shelvey would make perfect sense. He brought in Samir Nasri this month but will no doubt want to add some more creativity into the middle of the park. Shelvey has not started a game since early November and has fallen out of favour with Rafa Benitez. He did come on against Manchester United in midweek, though, and was lucky to avoid a ban following his horror tackle down Paul Pogba’s leg.